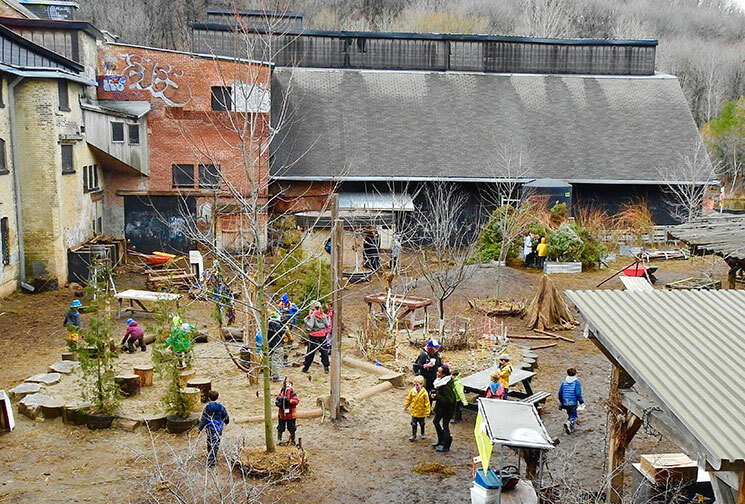 Our March Break Day Camp focuses on exploring the winter forest and ravines in Toronto’s Don Valley over five days. Campers aged 6–12 will adventure through the Valley, discovering the wild side of nature in the winter. We’ll track animals through the snow, learn about survival strategies from the animals that thrive here, look for edibles and build and play in the snow and ice around Evergreen Brick Works. Learn more about Evergreen March Break Camp by downloading the 2019 Parent Handbook (PDF, 2.1MB). Extended care is available for $40/week. Evergreen offers a free parking window in all lots from 8:30-9:00am and 3:30-5:30pm every weekday during March Break. If parking outside those hours you must pay at the meter. Building a fun, friendly and accepting group of campers is a key goal for Evergreen camps, and we encourage all campers to build new friendships. To ensure this, we accept friend requests only if the campers are in the same grade program and session, and we limit the requests to one per camper. Friend requests that are not in the same grade and session group will not be considered. We are unable to guarantee friend requests.